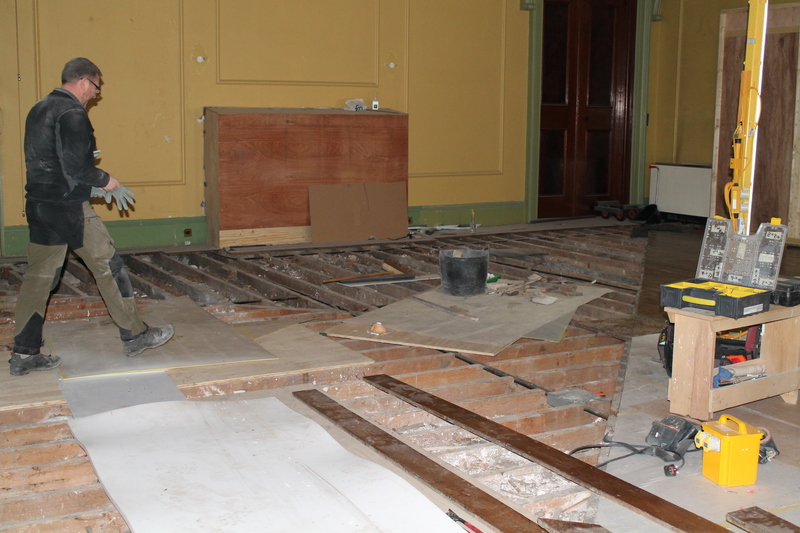 On Saturday morning while working along side the contractor I discovered a small section of a floor in the flower room had or still is being eaten alive by wood worm! So, the thought popped into my mind that a blog post would be in order. 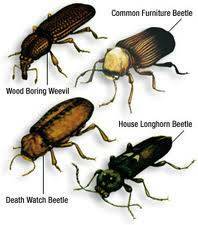 Wood worm is a generic term used for any beetle larva which bores into wood. The beetle lays its eggs into an existing cracks or holes in the timber. The eggs then pupate into larva and the larva then burrows downwards into the wood, only surfacing to hatch into a beetle to breed. It is only when this last stage happens that you can see an infestation, as the hole you see is an exit hole. As you can imagine the house staff here and in any older property watch out for the signs of an attack, so to be able to nip it in the bud. 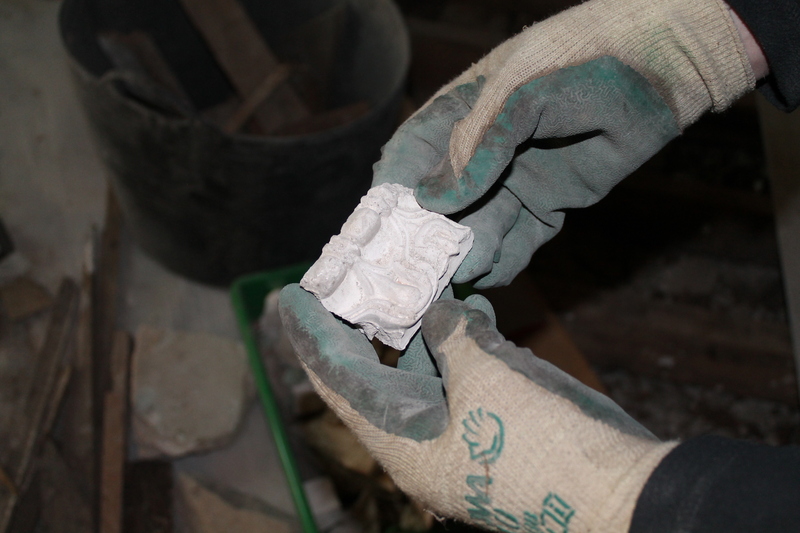 There are many different treatments for wood worm and all successful. 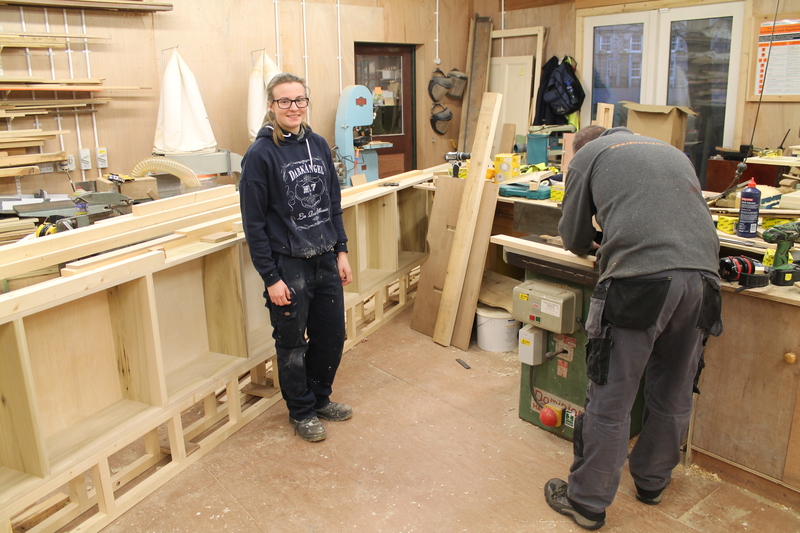 Some are simple in that you spray or brush on a suitable liquid or some are very technical which apply to a piece of furniture which needs special care. I have included as usual a few snaps of the damage the offending beetle has caused. One of the many interesting things to be found in the house is that all the rooms (especially the bedrooms) have all got a name. A few examples of the names given are Hague, Rome, Paris, and Amsterdam. The names are all European cities which the family visited. The room called Hague has been a room of special interest to us for the past few months. 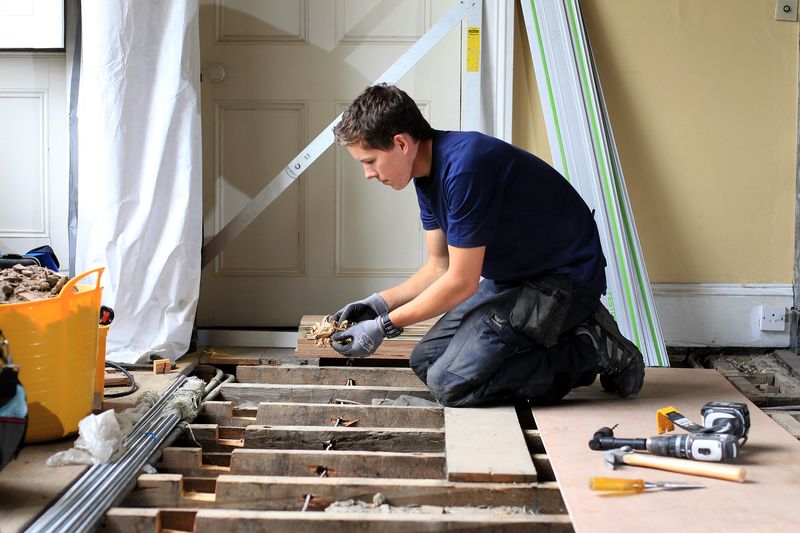 The reason being that it has been a test case for the floor strengthening method which, if successful, will be rolled out through the rest of the house. 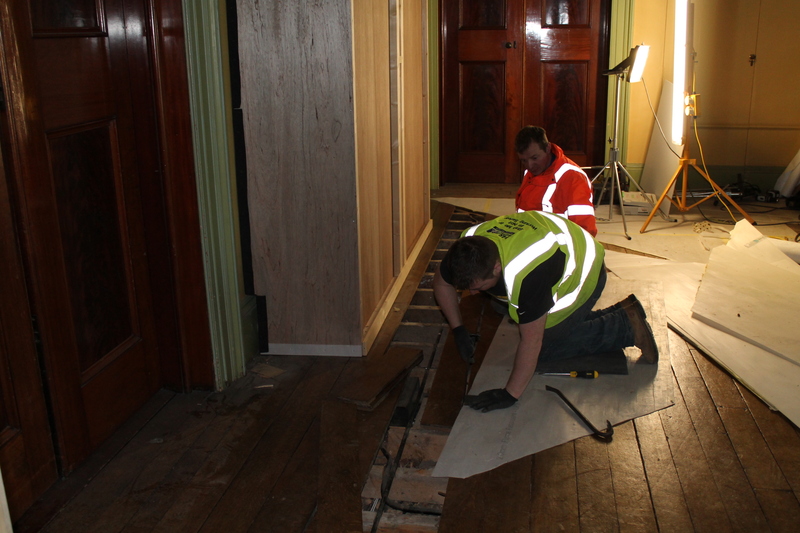 We, the joinery team, have been under the instruction and guidance of the structural engineers (Mann Williams) who have been carrying out these tests, as the floors throughout the house are displaying problems with the distance they have been asked to span for the past 172 years. It is a critical time for us now as a structure to put tension into the floor has been put in place and tension put into the floor. 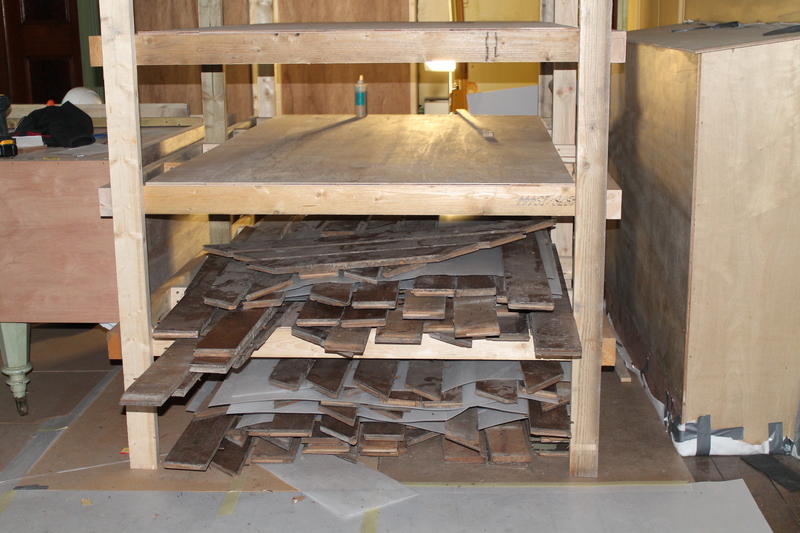 This adds stiffness to the floor and enables the floor to move as one single structure, helping its load baring capacity. 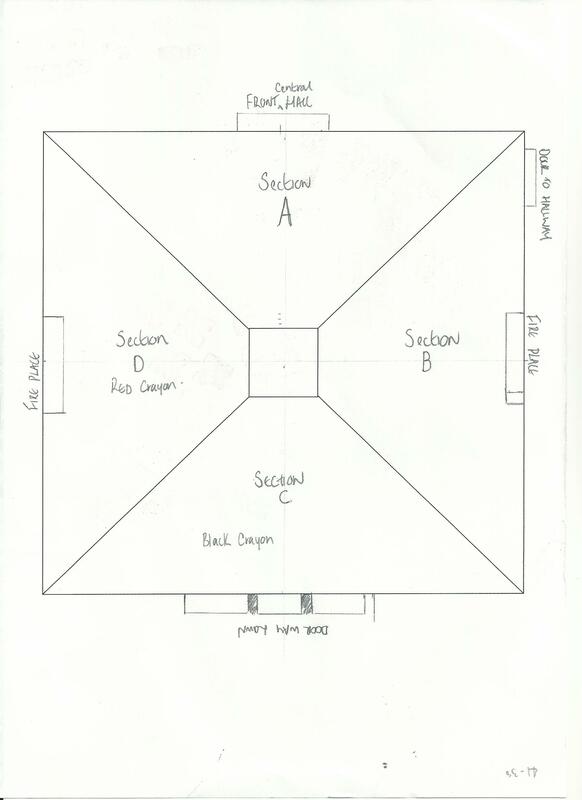 We have used what looks like a monstrous structure to lift the floor but the principles used are very simple. 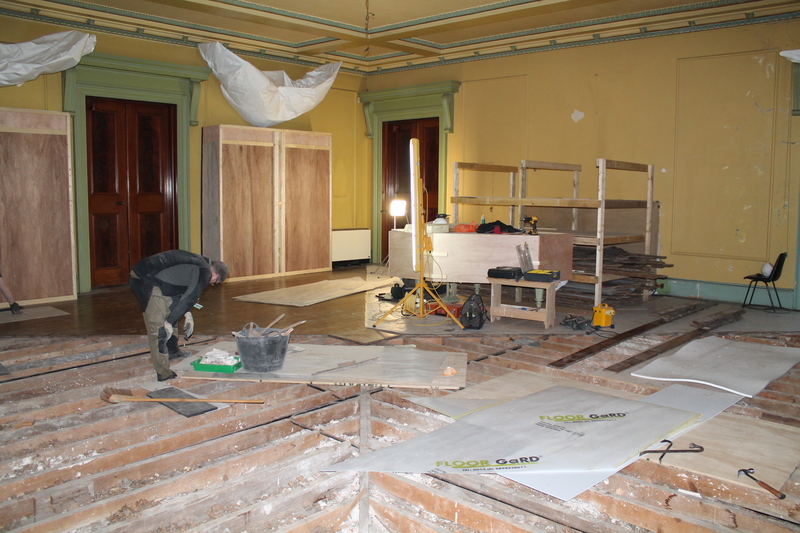 The pictures show us, the joinery team, tightening the lifting rods. 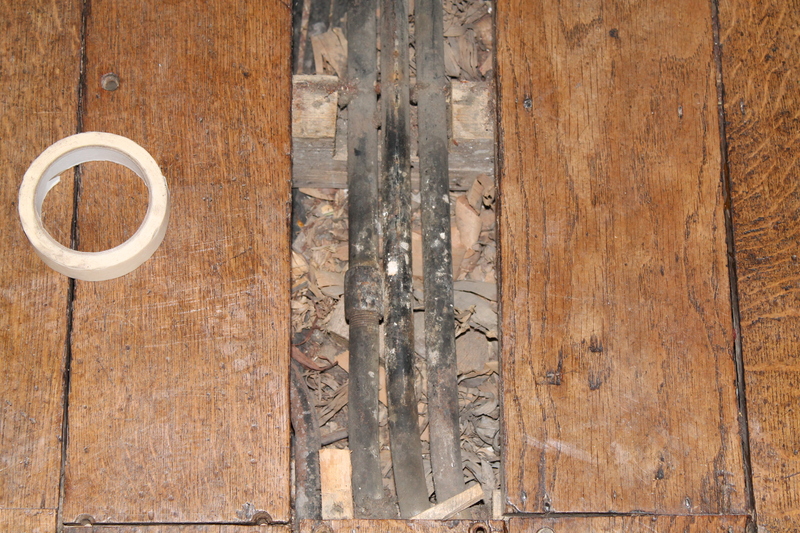 The rods are threaded bars dropped downwards and attached to two bars which we discovered have been in the floor since the 1840s. 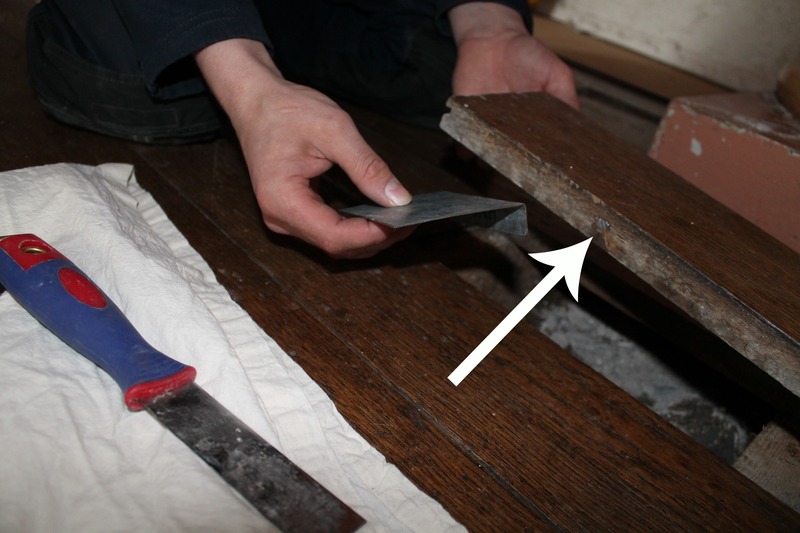 These already existing bars in the floor are the remnants of a floor tightening method employed by the original joiners. Incidentally this tells us the joiners in the 1840s new that the joists specified would have difficulties spanning the distance required! And here we are 172 years later having to do the exactly the same thing, only with better knowledge (put that in to keep the engineers happy) and of course incredibly talented and highly skilled joiners to carry out the engineers wishes! 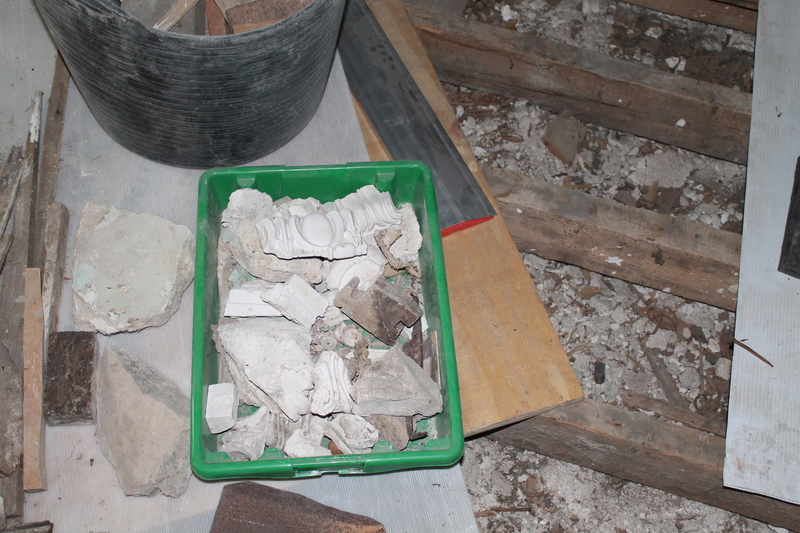 Joking aside, as I have said before when lifting floor boards we just don’t know what we are going to find! This time, (and about time too! 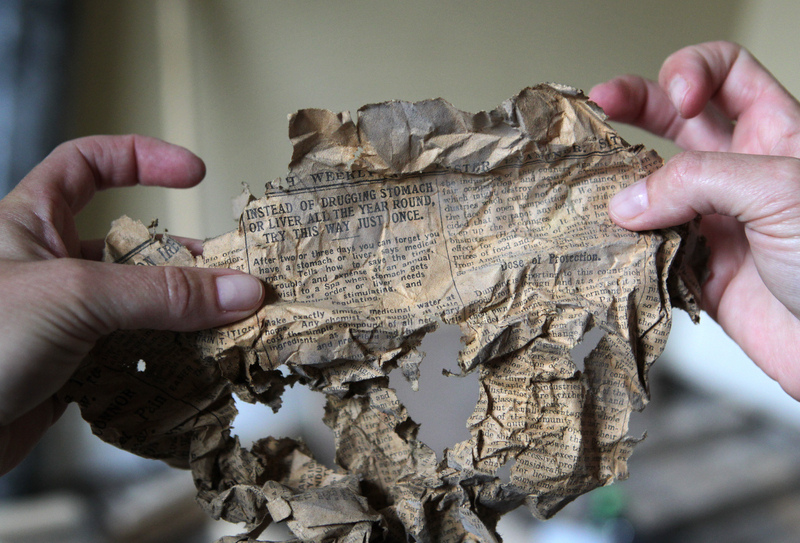 ), this find has worked to our and the engineers benefit! 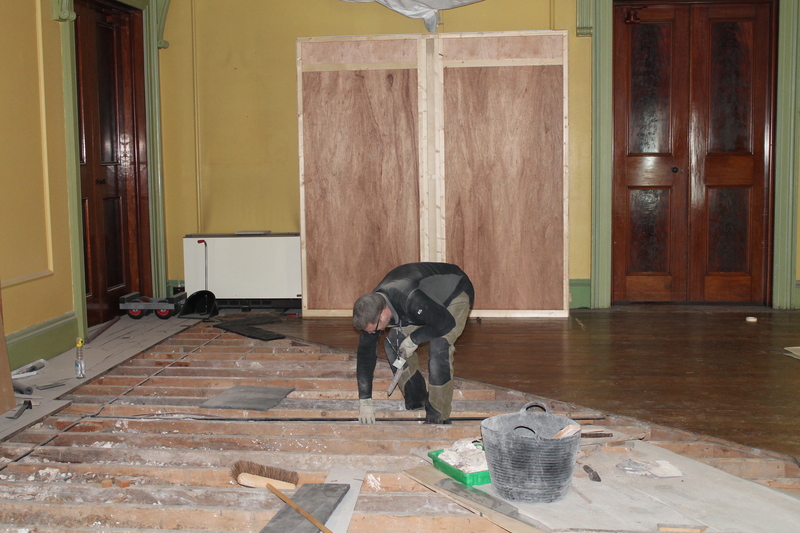 Keep on watching this space as the chapel will soon be finished, and we will show you the finished product soon. We have more exciting projects coming up and I can’t wait to get stuck into them! It’s an exciting and very busy time. 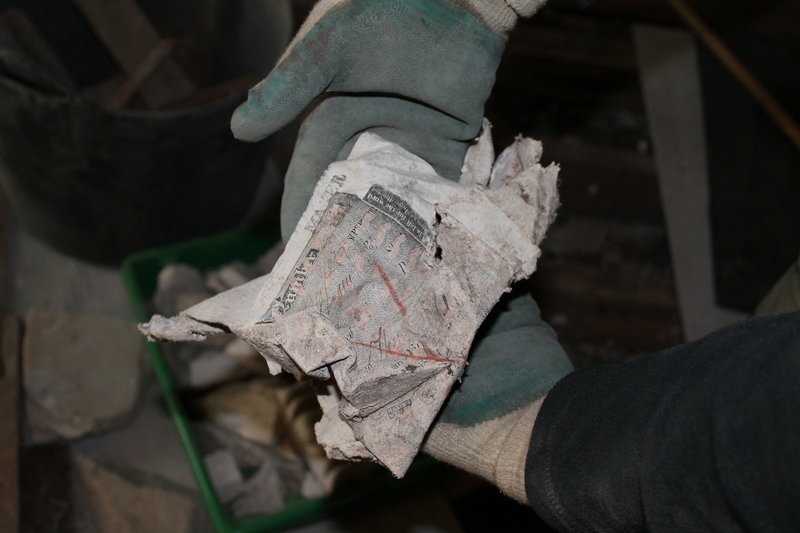 This week while working on the floorboards in the Hague bedroom, Callum, our apprentice joiner discovered a newspaper dating back to 1919 and a cigarette box. 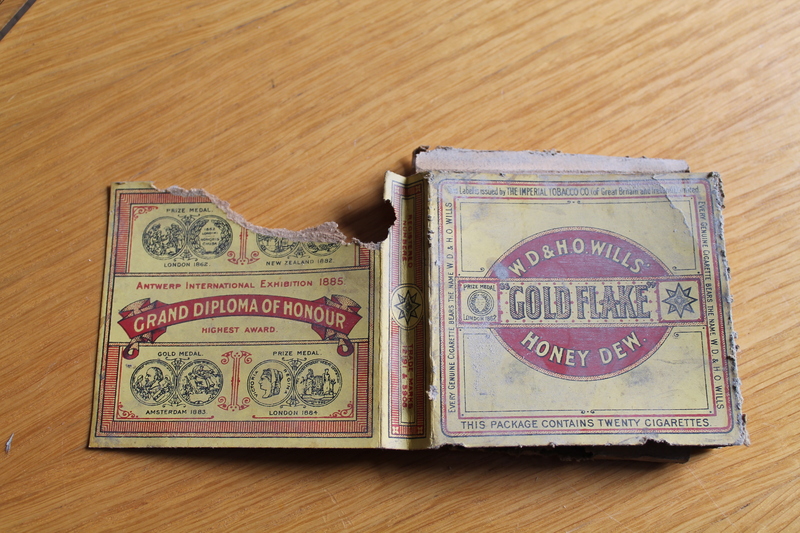 The cigarettes are a pack of 20 Gold Flake honeydew made by W D & H O Wills. They were founded in 1786 and became part of Imperial Tobacco in 1901 which remains one as of the largest tobacco manufacturers.